← Chores and Spring Work On the Callens Farm. 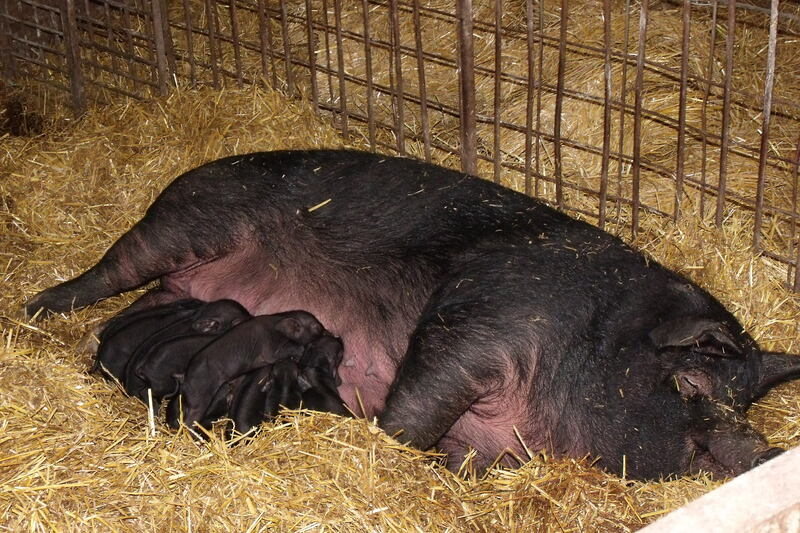 We don’t have nearly as many hogs on our little farm as in the past, numbers come and go fluctuating with feed costs. 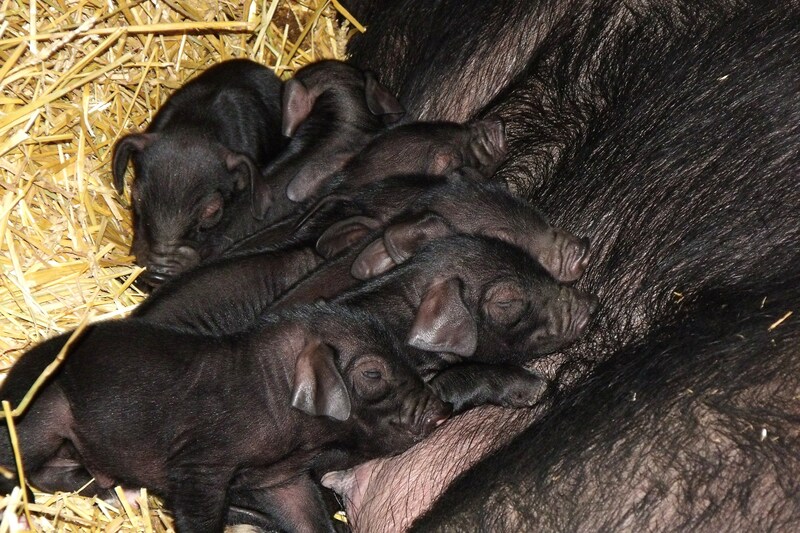 Presently, the feed is very expensive but we always have enough pigs on hand for our family and for local customers. The kids enjoy mothering the animals and it is a wonderful blessing being able to eat what we grow. 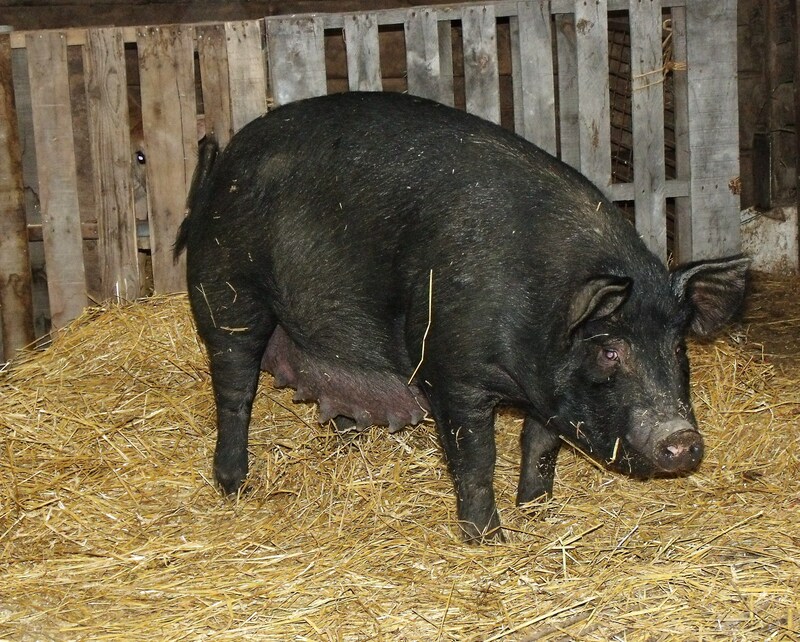 We raise old-fashioned breeds and unlike the factory farms, our hogs do not marinate on a manure pit. You can really taste and smell the difference in the meat. One can also smell the difference in the air on our farm. It’s not bad at all. Our family has an abundance of our own food from chickens, ducks, turkeys, geese, pork, beef, rabbits, lamb to fresh cows milk, eggs, lard and honey. Then there are potatoes, strawberries, apricots, apples, grapes, blueberries, rhubarb, cherries, raspberries, plums, elderberries, choke cherries, mulberries and perennial herbs for seasoning. We make our own butter and a couple of kinds of cheeses, yogurt, sour cream and ice cream. Also produced on this farm are several large gardens of fresh produce and a bountiful harvest of asparagus. Then there are the beverages produced here, home-made wine, soda pop and most recently beer! Our barley for the beer comes from a friend and neighbor who is a dairy farmer. Talk about fresh grain!! Fred even used our own honey in a batch of beer, very tasty. One weak link in our production of food is growing our own wheat which we intend to do this year. We’ve grown hulless oats in the past. For now, I am more than satisfied with the wheat berries purchased from the Country Life Natural Co-op. I can highly recommend Montana Wheat, Prairie Gold. The family loves it and we bake our bread with it almost every single day. Very good wheat , if you can locate some of the Prairie Gold, give it a try. I have also tried the Bronze Chief from Wheat Montana but most of us did not like the flavor. The last wheat shipped in cost $24.00 per 50# bag. Growing our own would save us quite a bit. We’ll see how it goes this year. 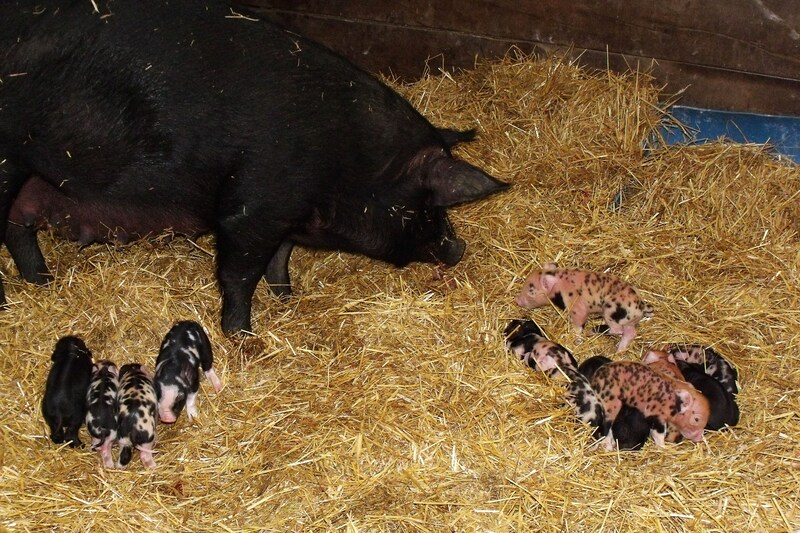 This entry was posted in LIVESTOCK and tagged Callens Farm, farrowing, food production. Bookmark the permalink. Love the pics, Sandra. You all have a great farm with great animals. So glad you are keeping the old traditions alive and raising your children the same… What a happy family you have and what a great job you do farming with your family… Thanks for sharing. Love your blog! I love me some bacon!! Mmmmm mmmm! Looks like I could eat bacon for breakfast, lunch and dinner with that porker!! xo kisses to all my favorite little ones!